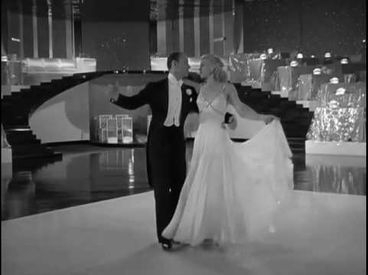 Last week, during the end of this month of December, 2017, I awoke with the strains in my head of the duet that Ginger Rogers and Fred Astaire sing at the end of Swing Time. 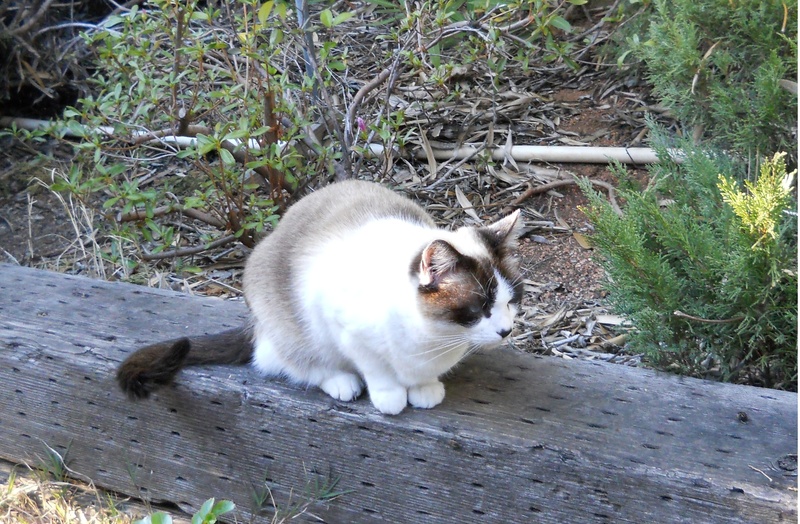 I, of course, wondered why, and then I realized that song was another example of the “2-part choral arrangement’ of which I wrote so endearingly in this essay: (Dean Martin). I’d not recalled any other such arrangement, but my auditory memory had just informed me that it was also accomplished by these two dancers/actors/singers. I knew the one song was “A Fine Romance” but I could not recall the name of the other song. A few days went by, and I still could not come up with the title. Looking for it online or on the cover of the film DVD was tantamount to cheating, and so I decided to watch the film, all of it, all the way to the end, and not fast-forward to find the finale song. The other song is, of course, of course, “The Way You Look Tonight.” And what a glorious, heart-warming song it is. 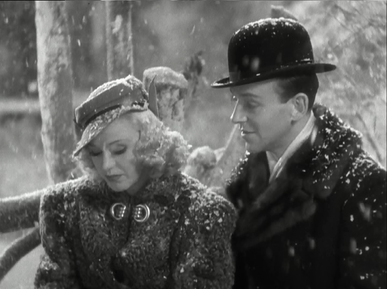 In fact, all of the songs by Jerome Kern and Dorothy Fields in this film are glorious and heart-warming as they magically weave a complete gossamer veil among melody, lyric, and the aesthetic movement of memory within the heart. It’s as if a veil of stardust embues the images in this black-and-white film with a lush graceful elegance, a splendour that, amazingly enough, also possesses pizazz and punch. And those images are truly gorgeous, dreamily magnificent in a way that makes me want to get into my dancing shoes and start moving across the floor, until I discover that — my living room floor is too small, for me, for anyone! It is an inspirational film, filled with the energy and vitality and vision of the American Dream. 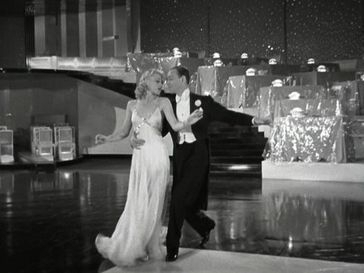 The film is also filled with more ball-room dancing than tap, and is much more restrained in its plot construction, as compared to the other Rogers-Astaire dance flicks. And this film is filled with light! Not lights, camera, action, but the illumination that is the art of lighting the action so that the camera becomes the author of a movie that becomes so much more than a mere story or a screenplay come-to-life. I’ve already written an essay on “Ginger and Fred,” inspired by having enjoyed watching Swing Time. What I did not take into detailed account in that write-up was the abundant use of light in a film that was created during the dark Great Depression of 1936. George Stevens, the director of Swing Time, was the bright bulb behind the tender-but-dramatic luminous effects within this film. His innovative use of light permitted this dancing duo to do more than merely dance in the dark or in the light or in shadow. It was his use of light, Swing Time light, that renders this film so texturally different than the other Ginger-and-Fred films. Softly flickering at times, fabulously glowing at others, gauzy and romantic when needed, bright with incandescence when expected and unexpected, the light of Swing Time makes this film shine just as much as its superbly talented actors and actresses. 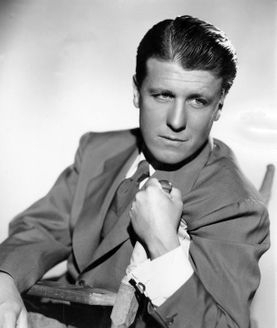 George Stevens was born a Californian in 1904 and he died a Californian in 1975. His films reflect the spirit of this state when it was a golden-dream-to-come-true. His films are astoundingly artistic, offering entertainment that is commercially brilliant, emblematically bold, engagingly thoughtful, and alive with American sensibility. For Stevens, the details — visual as well as auditory — were everlasting monuments to the display of art on film. This director was an ingenious and original craftsman of film composition long before the books and film studies and analysis-by-review and review-by-analysis came along to decapitate the head of any film and render that movie mindless as well as senseless. Stevens was nominated five times for an Academy Award as Best Director. He won twice, which is not a bad record for a guy who was not the typical studio director during the Golden Age of Hollywood. It was the quiet but permanent placement of his personal imprint upon his films that distinguished Stevens from other director-luminaries like John Ford, Howard Hawks, William Wyler, and Michael Curtiz. His film-making did not call attention to him, but to the film. In that sense, he was more artist than director, more actor than auteur. His ability to elicit superior performances from the actors and actresses in his films, and in Swing Time, in particular, speak to this innate artistic quality. He envisioned the film as the actors would have wanted it — not necessarily as he, The Director, deemed it would be. This bending toward the players is a rare gift among directors and film-makers. 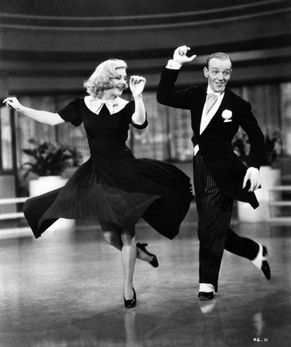 The talents of Ginger Rogers and Fred Astaire were fairly well proven, but Swing Time fully made “them” a smash hit. 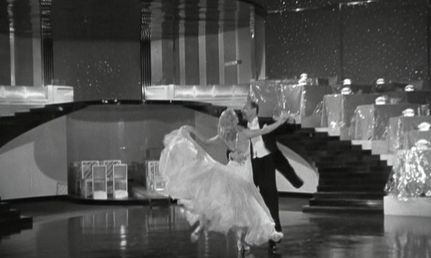 Those luminous, lavish, arduous-but-“effortless” dance sequences; those earnest faces, fresh with emotion; those clear voices, so true to the song; even those captivating physical figures — dressed to the nines but with simple sophistication — all of those elements are more-than-present within each scene, within each frame. Even the minor characters are given the freedom of space with which to play their parts. The light is on them just as much as it is on the Star. What a tremendous achievement in film! The dialogue encompasses several levels of meaning: every time I watch Swing Time (and I’ve seen this film at least a dozen times), I catch a new nuance to the pauses between the words. I feel the unexpected delight of two people discovering themselves through each other in ways that only The Camera could capture. I glimpse deeper sentiments within that clever wink, the casual shrug, a tender smile that means so much more than a little laugh. The film weaves visual motifs and musical ones so seamlessly that the ambiance of the set design meshes perfectly with the musical numbers and the dialogue that does not miss a beat. The final scene of Swing Time forms a symbol of eternal hope for everyone when that wall of negativity closes in around you, when the doldrums veer toward depression and loom oppressively toward despair. 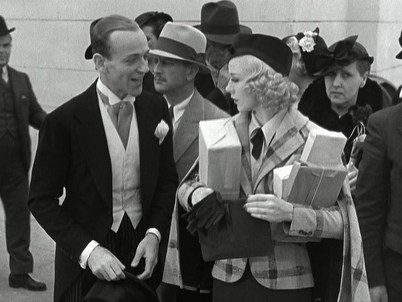 The calmly audacious direction of Stevens was his hallmark, and it shines for all to see as Ginger Rogers, Penelope “Penny” Carroll, sings her part of the 2-part-choral arrangement: “The Way You Look Tonight.” And Fred Astaire, as John “Lucky” Garnett, is indeed lucky, while he sings his part. Those parts are greater than the sum of the whole in the grandly touching finale to this fine fine film. Sunlight emerges, and it breaks, not out, but open — over the painted backdrop that is, in itself, scintillating — the radiant beams touch those skyscrapers in an almost spiritual dimension. More than mere stars were born that night. We can see the confluence of love and luck, the serendipity that is charming and cheerful and forever. For the celestial light of Swing Time, we thank George Stevens.